Wow that week flew and I must say out of the posts I've typed this week this one is the one I have looked foward to the most. 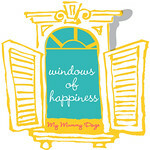 The gorgeous Fi's from Mummy Daze and her Windows of Happiness linky. This week I have had several momments of happiness that have helped me through the bleaker days. There was sunshine, beautiful warm sun light streaming through the curtains. 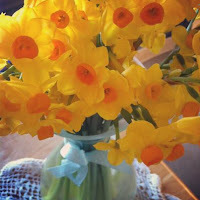 Yellow jonquills on my dining room table, they just seem to lift the whole feel of the house. Reading my boys bank statements and knowing that the small contribution I am making to them every week is one of the best things I could have done for their futures. Planning family holidays with one of my closest friends. Going grocery shopping KID FREE!!! All these things may not seem like much but they are the tiniest droplets of happiness that have filled my cup.